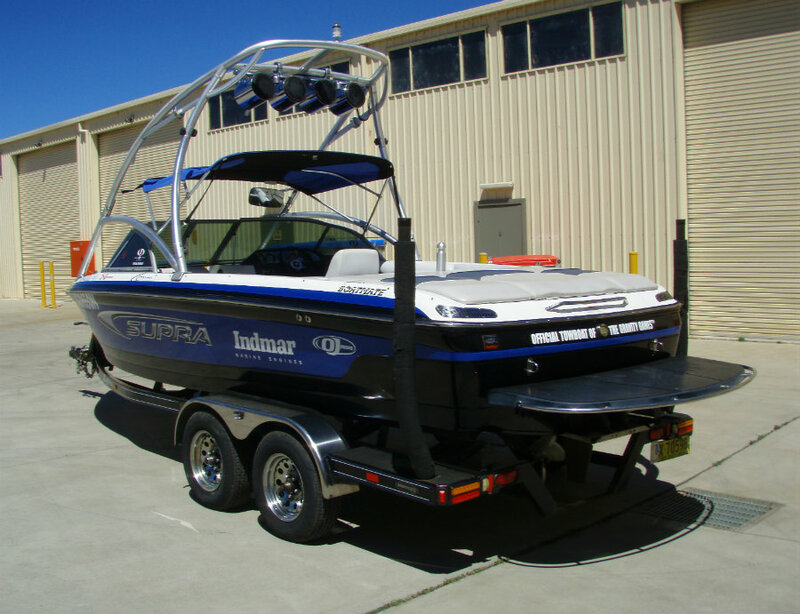 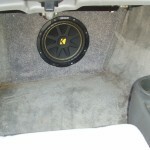 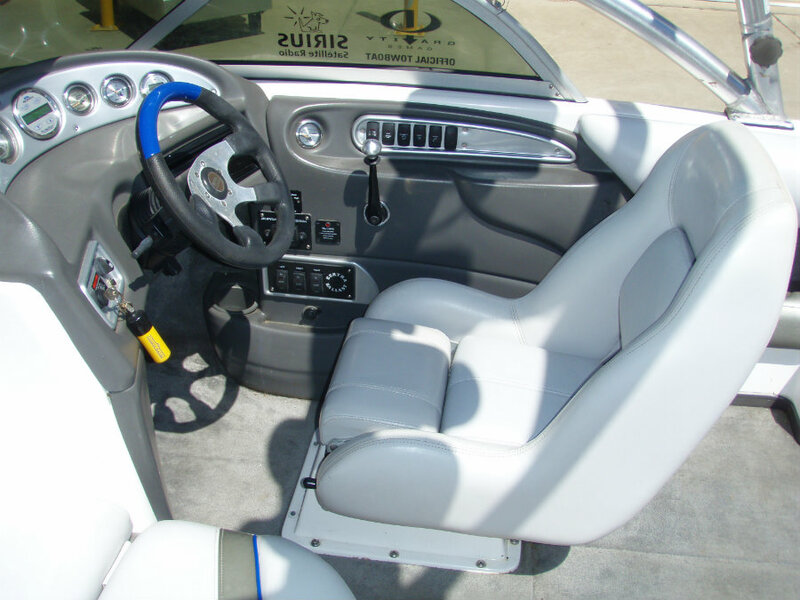 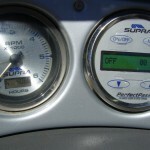 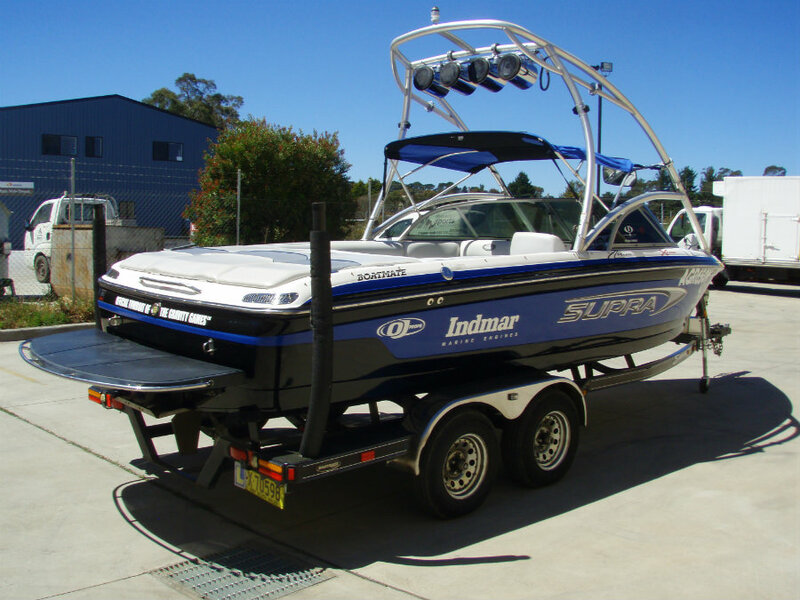 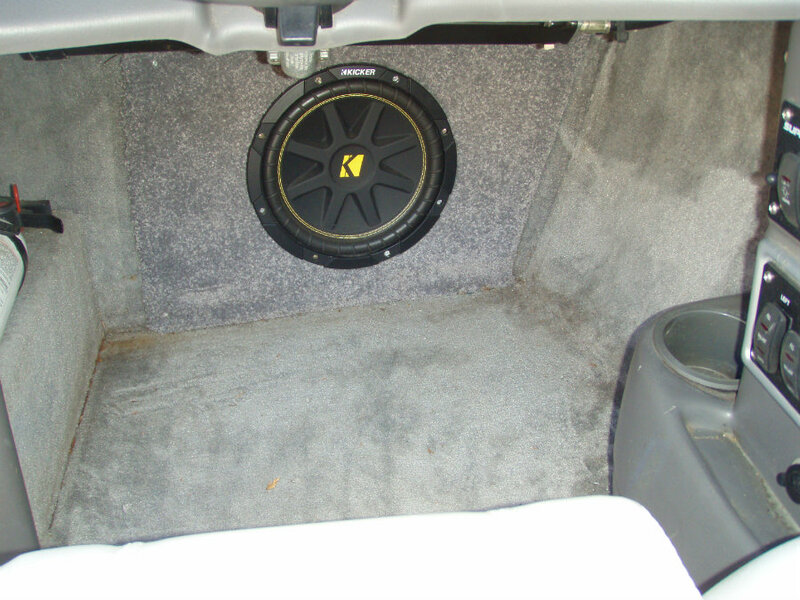 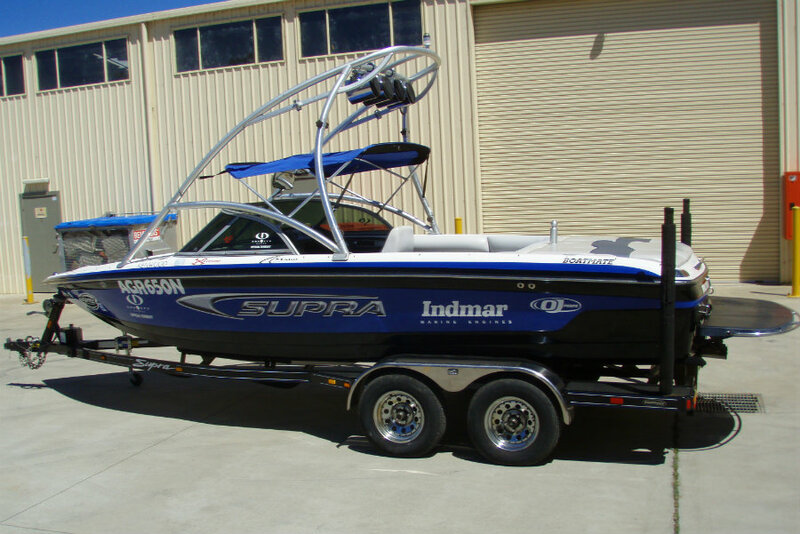 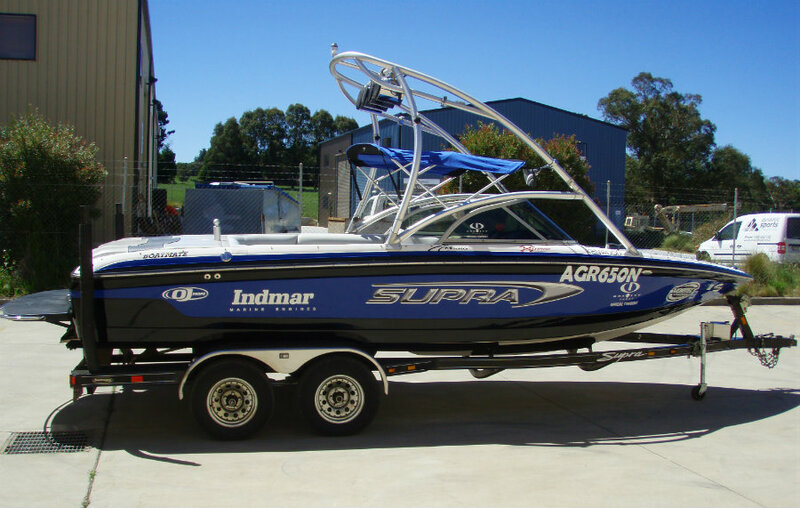 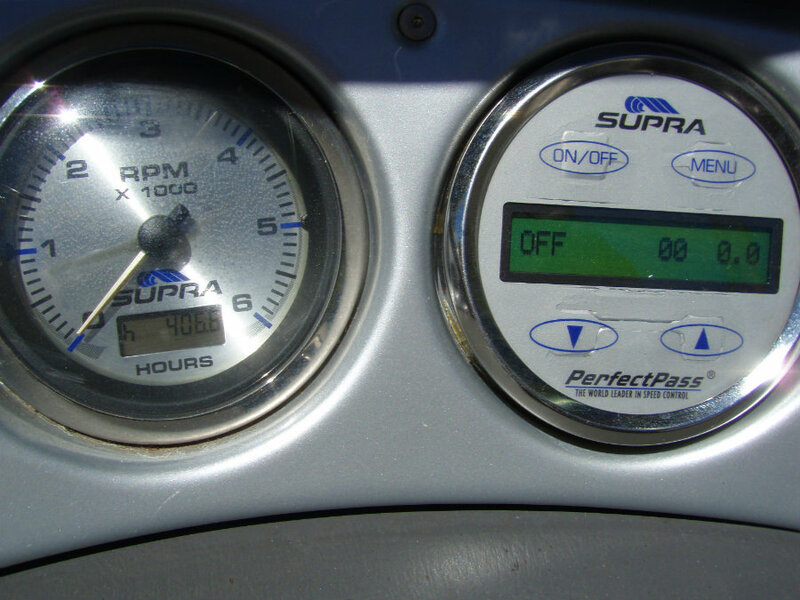 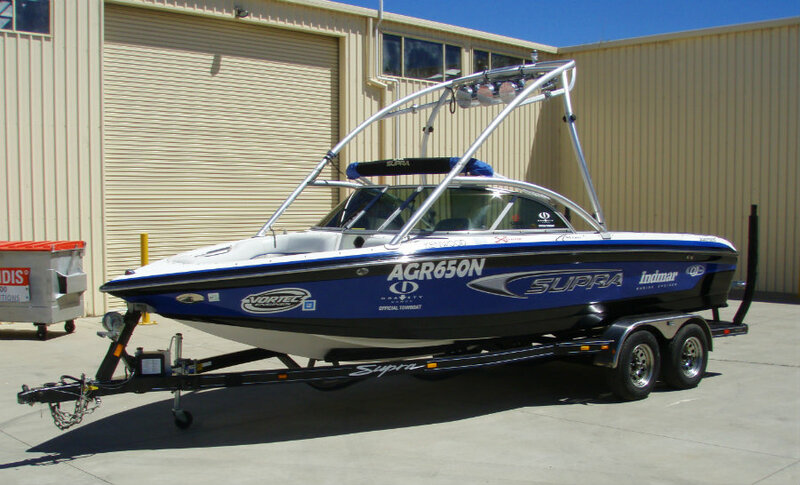 2004 Supra Launch 22SSV ‘ Gravity Games Edition ‘ powered by a 5.7L V8 325hp EFI Indmar Assault engine with V-drive and 406 hours. 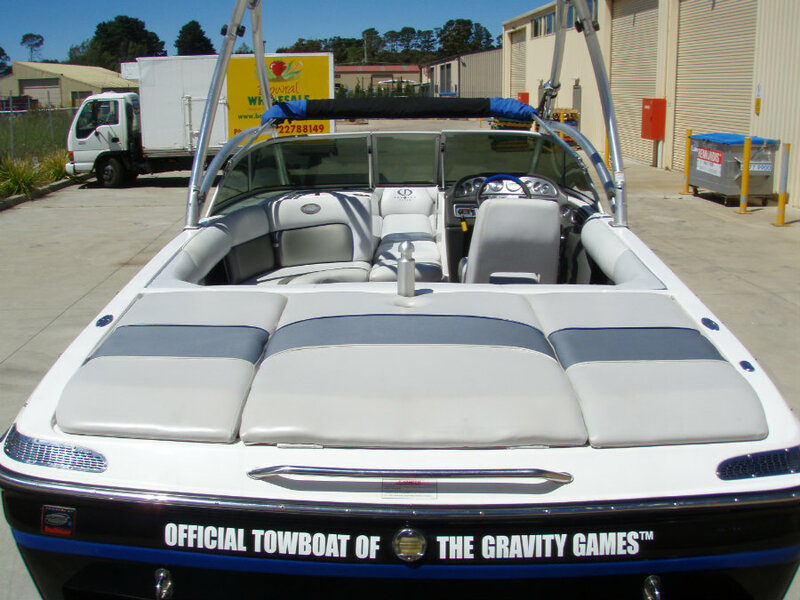 This 22-footer was the ‘ Gravity Games Edition ‘ for 2004, and riders have always enjoyed the proven swells behind the Launch 22 SSV. 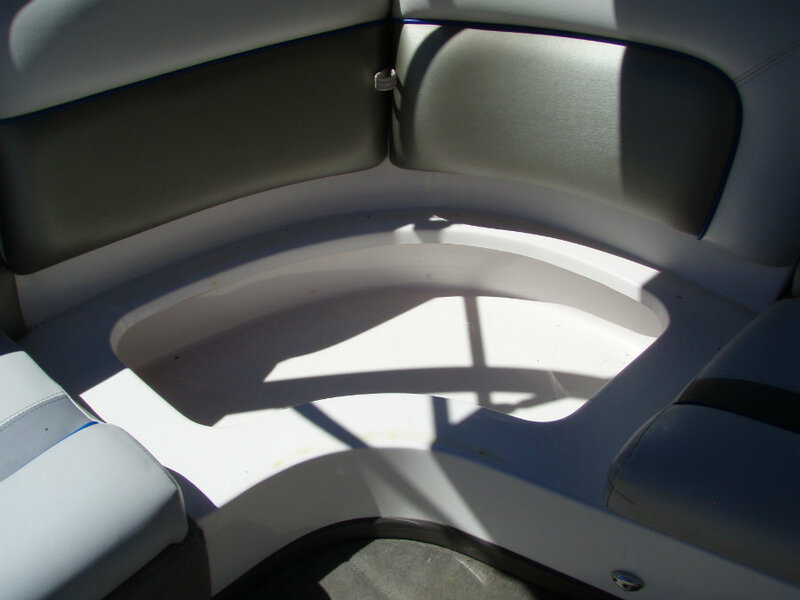 The wakes are big, with nice, rampy transitions so intermediate to pro-level riders can enjoy this ride. 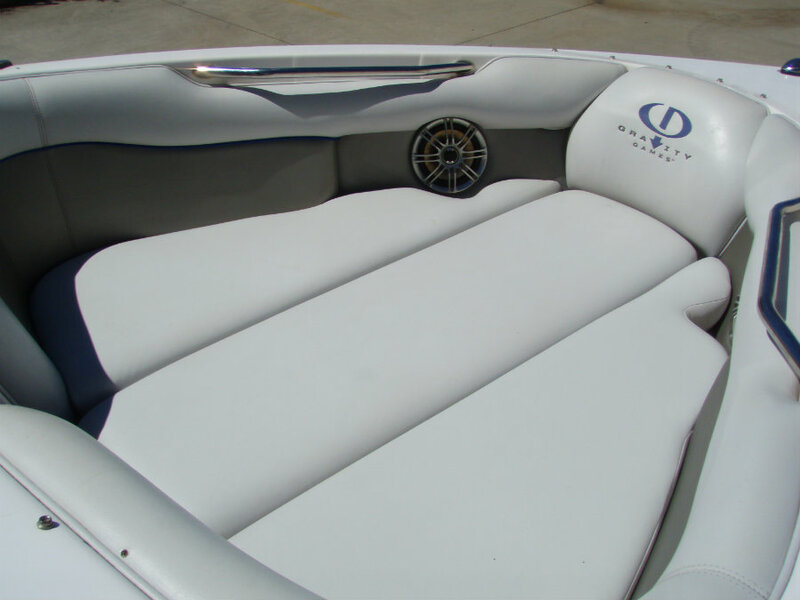 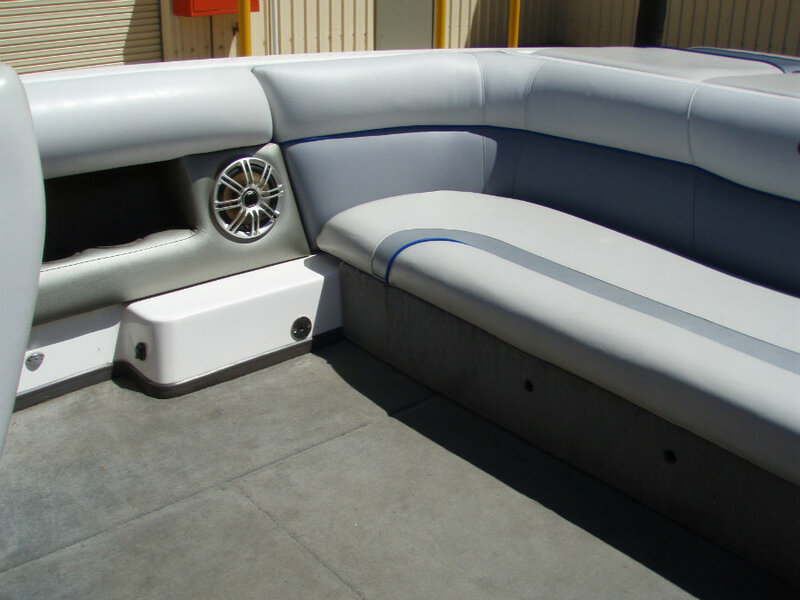 Even though pro riders have taken their moves to the extreme behind this boat in world-class competition, it will work for beginners at shorter line lengths — with the triple ballast system and hydraulic wake plate adjusted accordingly. 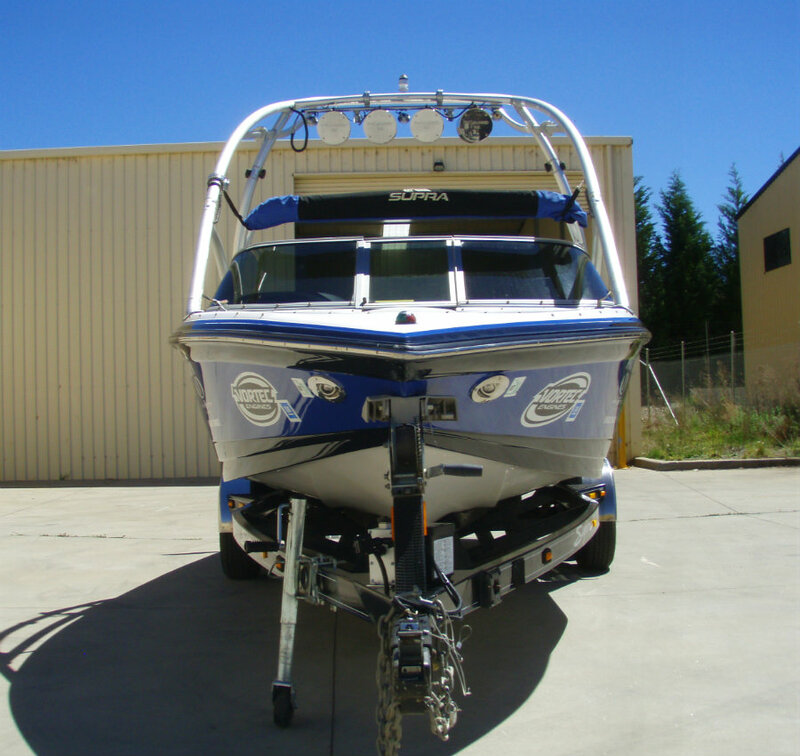 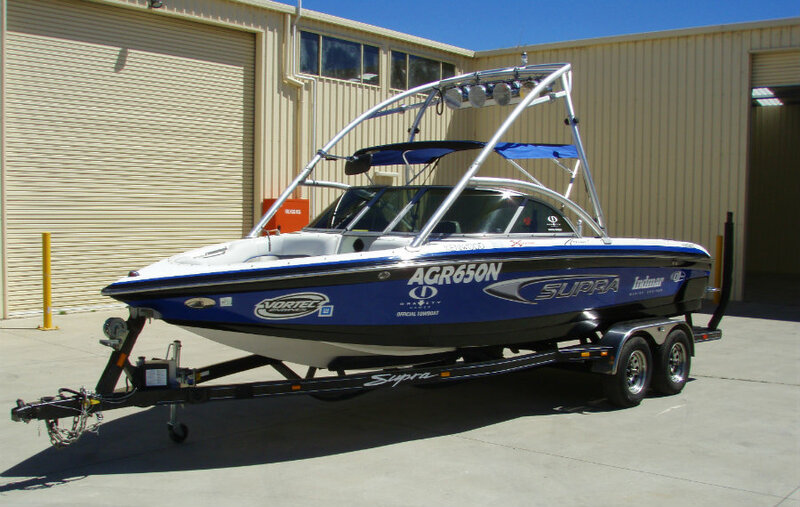 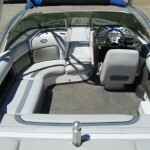 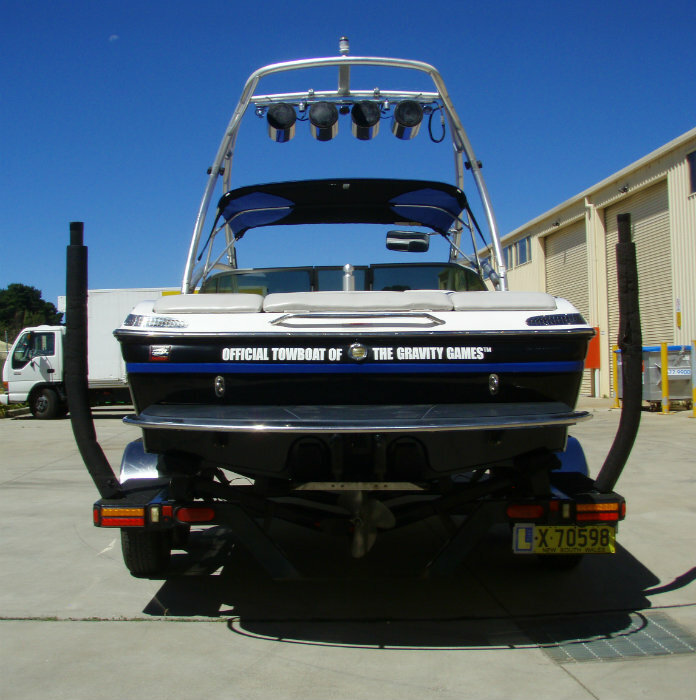 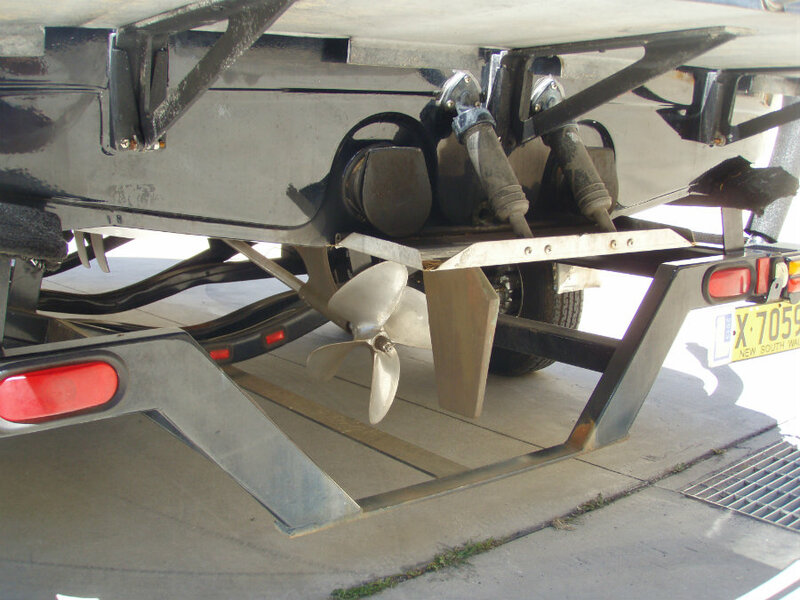 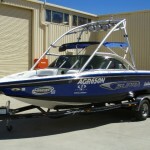 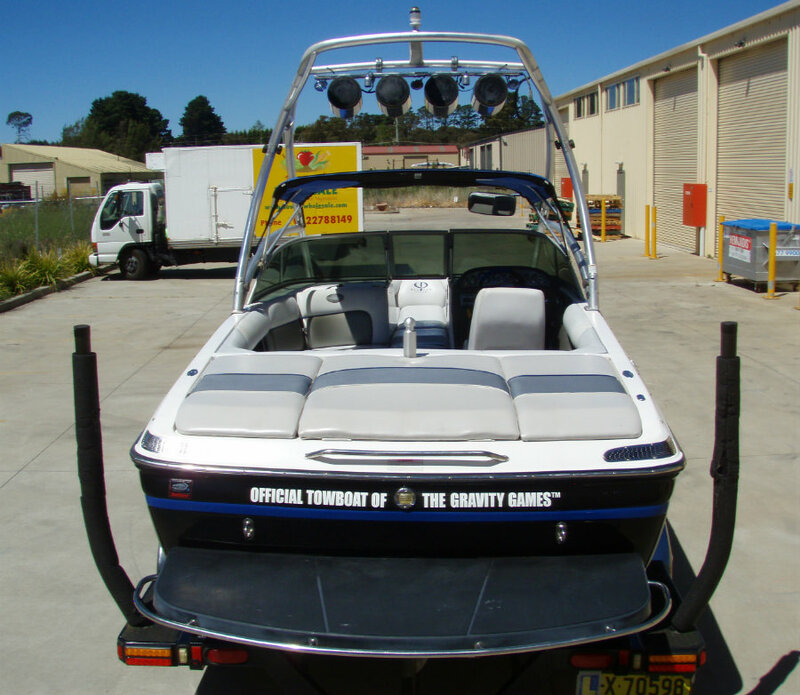 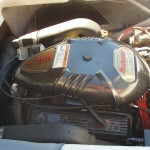 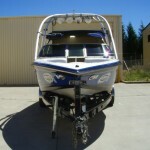 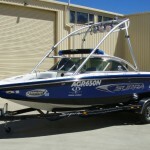 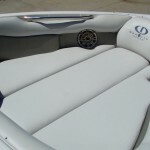 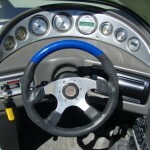 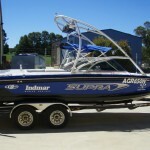 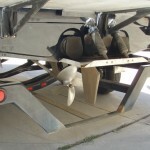 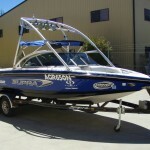 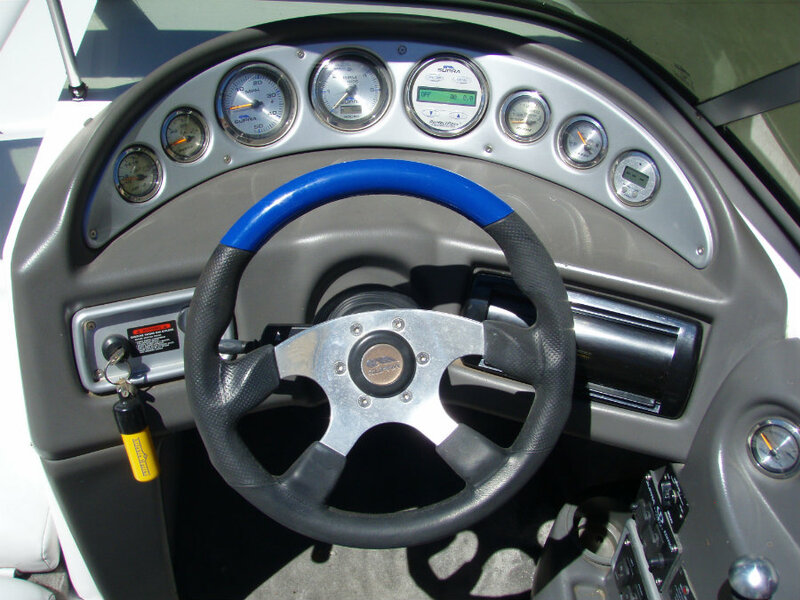 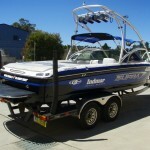 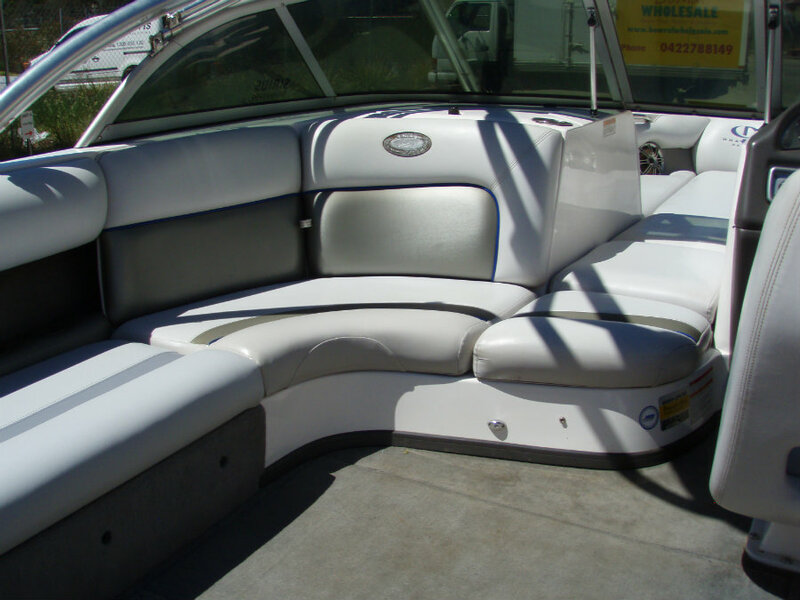 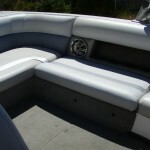 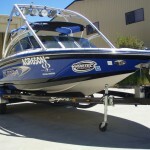 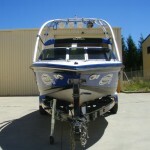 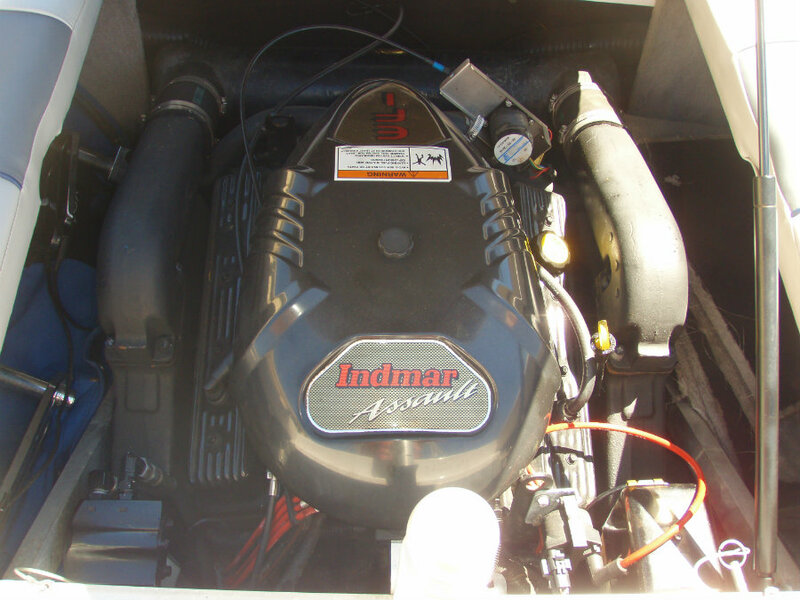 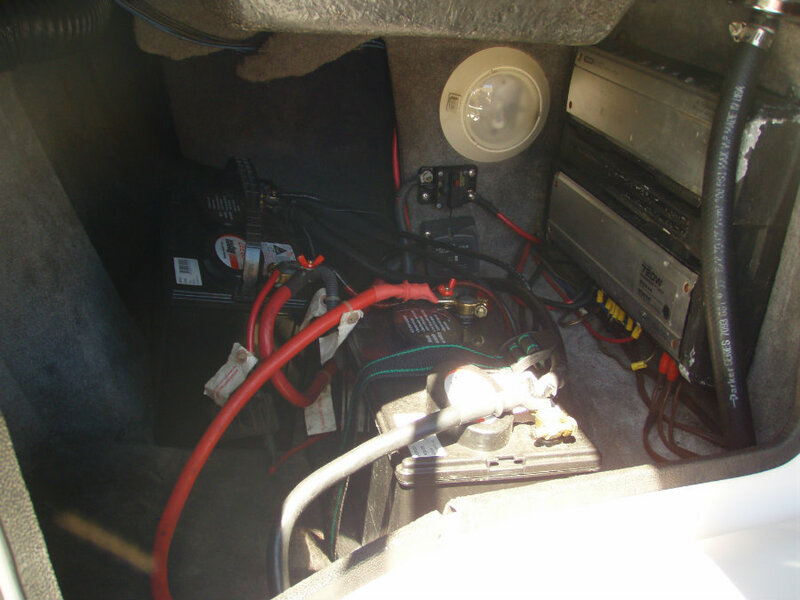 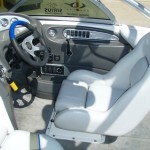 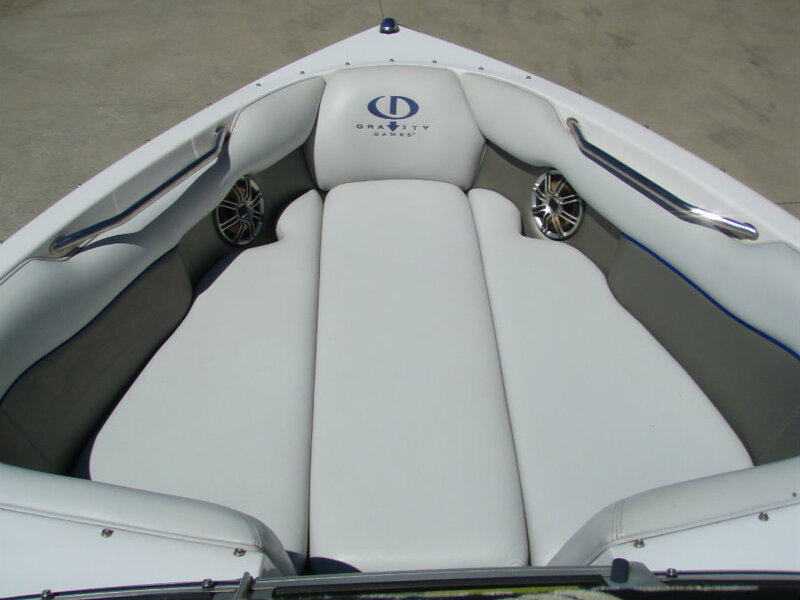 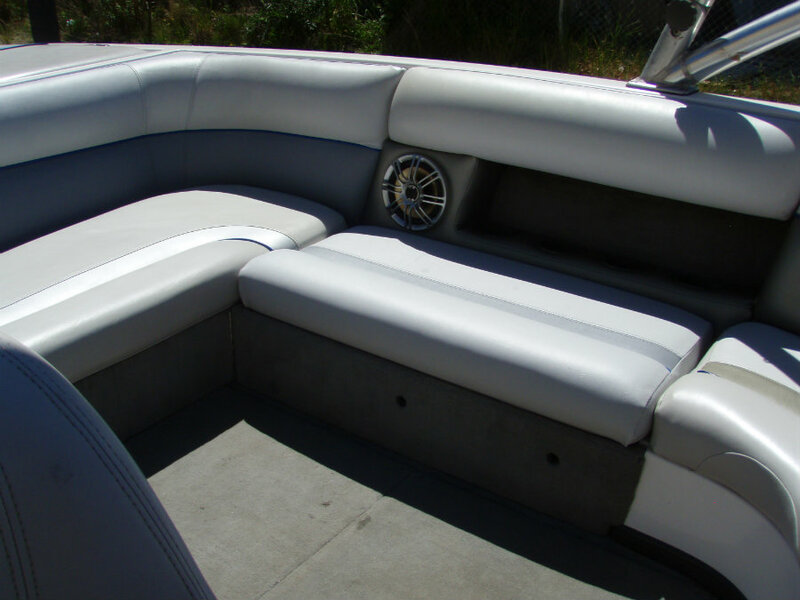 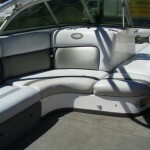 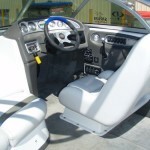 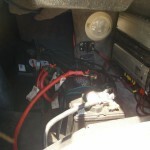 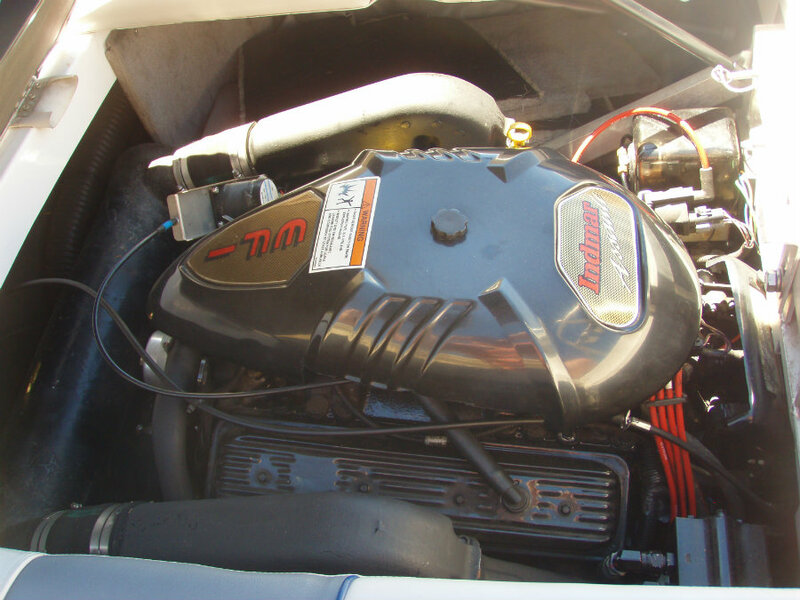 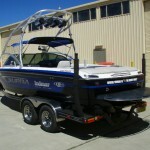 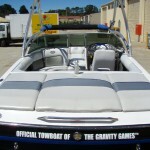 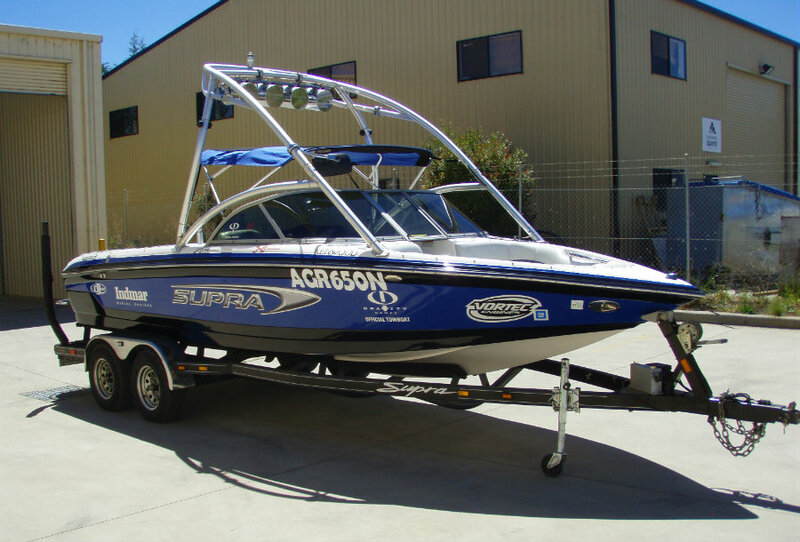 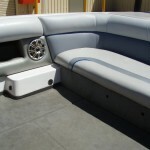 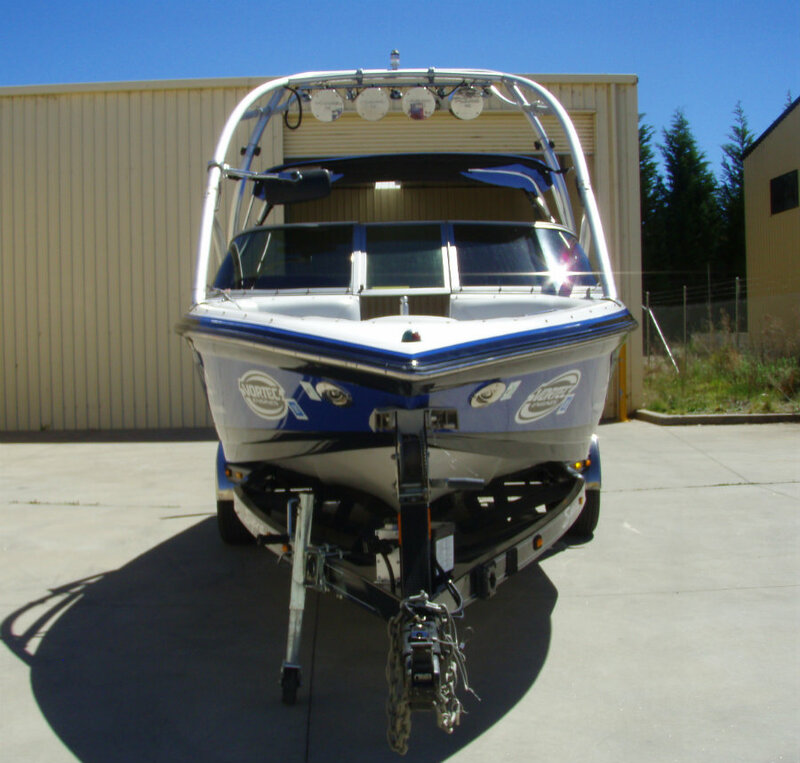 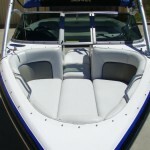 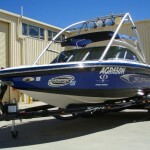 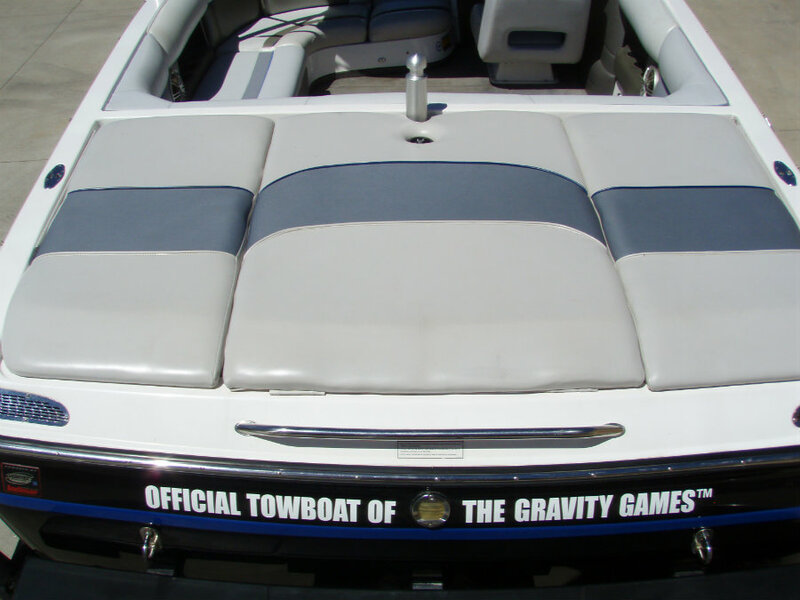 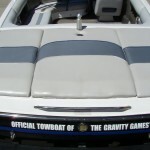 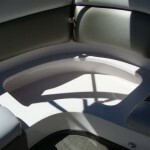 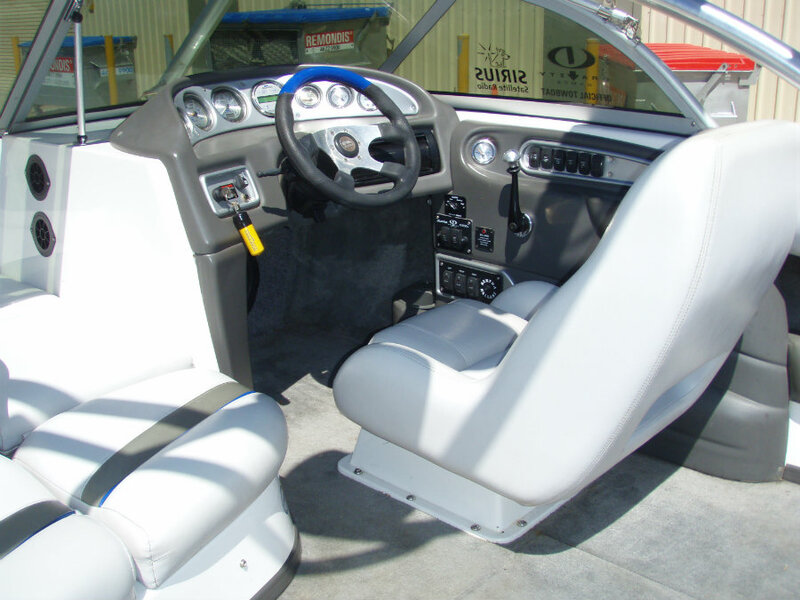 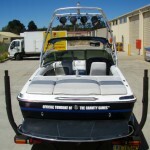 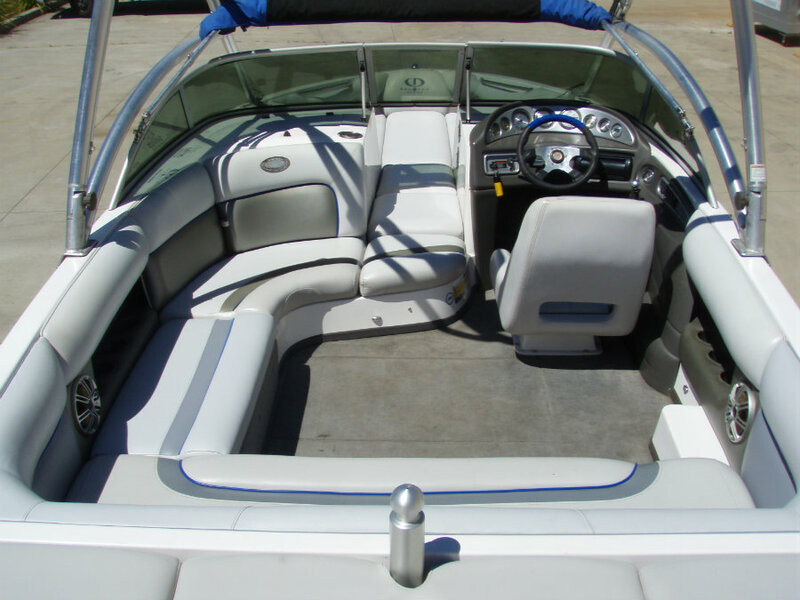 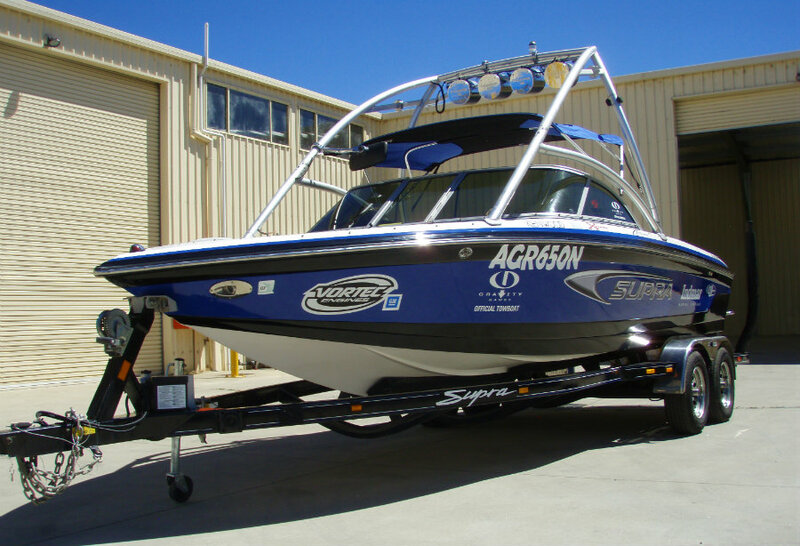 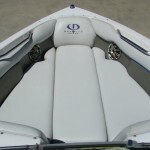 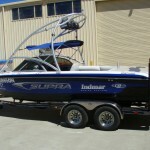 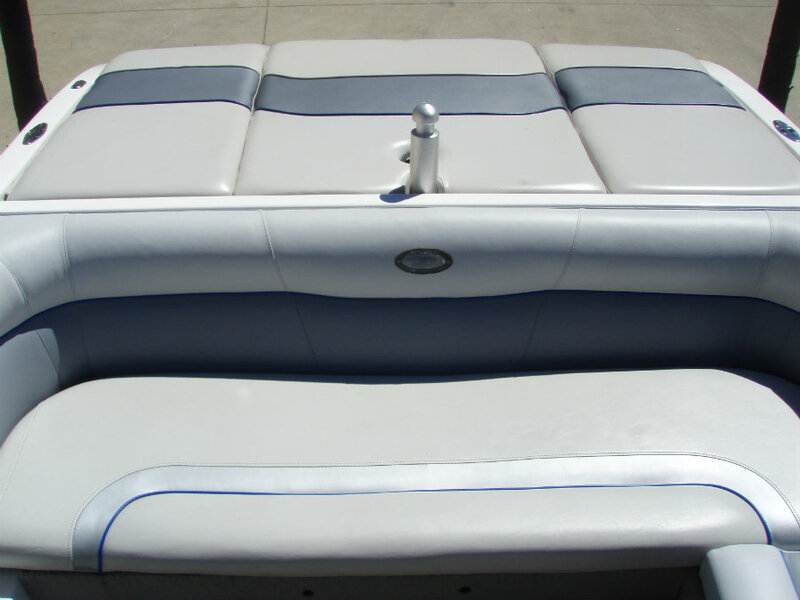 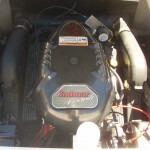 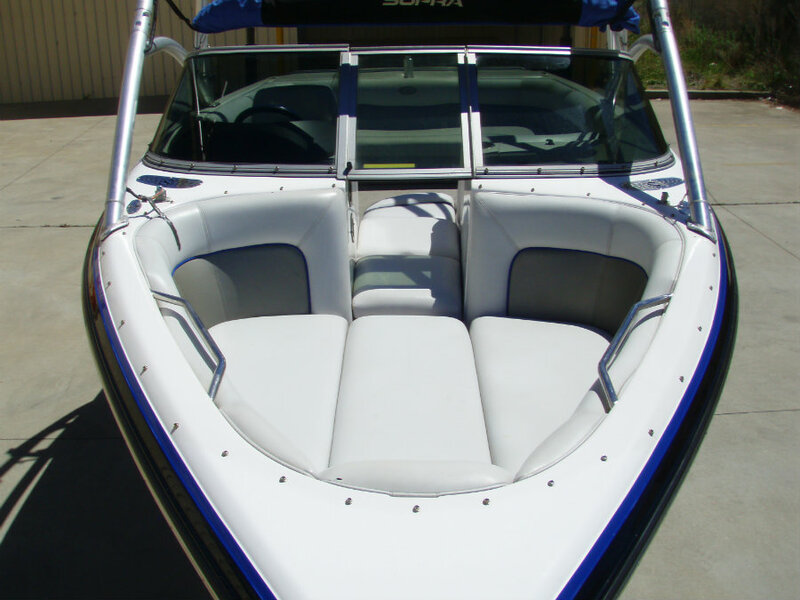 This boat will maintain its fluid handling and tight tracking tolerance even when loaded. 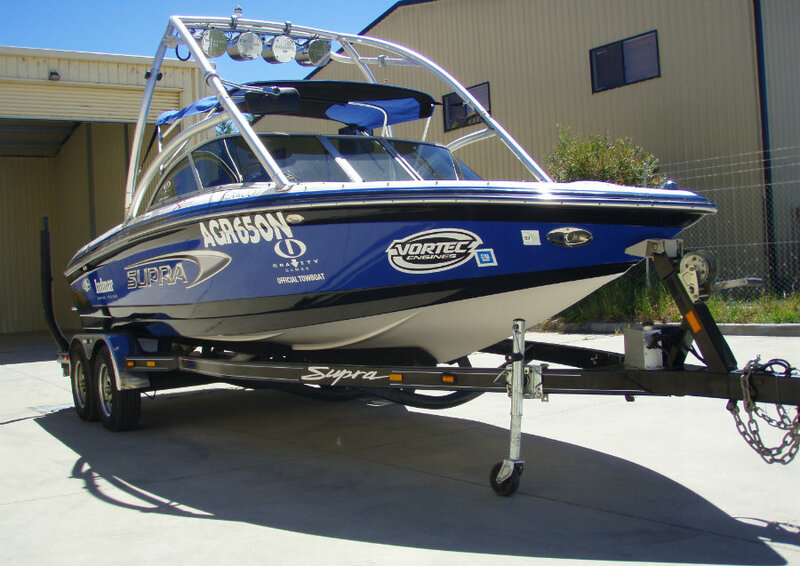 This 22SSV presents in very good condition, and with it’s sleek styles and glossy colour scheme of blue/black on white – you will be noticed!